Perisher-Blue (or 'Perisher' for short) is Australia's largest ski resort. It has 50 ski lifts spread over several mountains. Most runs are in open space. There are scattered trees but no proper tree runs. Perisher lays claim to being the largest resort in Australia. 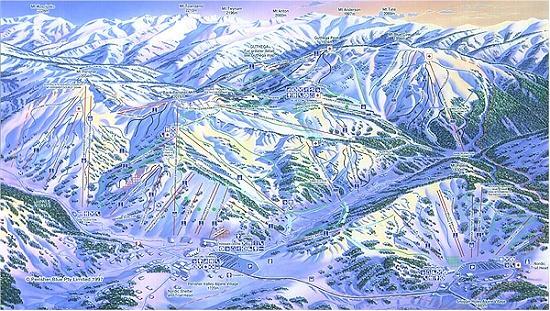 It offers the most terrain for beginners and intermediates and fairly reliable snow. 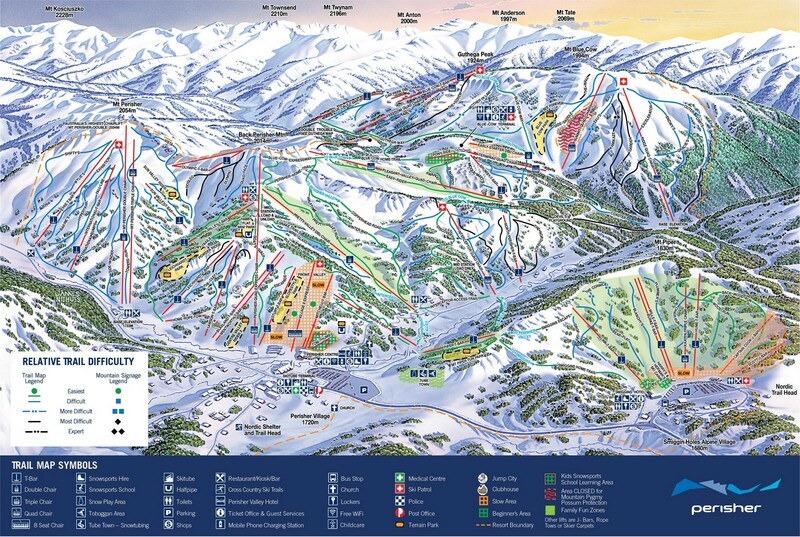 The sheer number and variety of trails and ski lifts will keep most people happy. The 50 lifts are mostly short but they are everywhere. So you can choose a run you like & ski it all day, or try a new lift every time. The resort covers a big area with lots of variety. Perisher has a maximum skiable vertical of only 314 metres but ranges from 1605m - 2034m.